Yesterday, I got to work on getting six ACME Net-Net 3820s ready for an upcoming deployment. Since Im still trying to learn the ACMEs, I started off getting the firmware up to date. Thanks to a great conversation with Mark with ACME/Oracle yesterday, I learned a few things about ACME firmware along with a few other things he shed some light on. It was a really good conversation, and I highly respect his technical ability. Check out his blog at http://www.markholloway.com/blog/ . Now, here is how I upgraded the firmware on the six 3820 devices. I went from 6.4.0 to 6.4.0m2. First, I found out what the default management IP address is. I consoled in and went in config mode and ran the "bootparam" command. NOTE: These changed parameters will not go into effect until reboot. Also, be aware that some boot parameters may also be changed through PHY and Network Interface Configurations. In my DOS prompt on my laptop, I FTP'ed into the ACME 3820 box. 220 ACMESYSTEM FTP server (VxWorks 6.4) ready. 230 User user logged in. 150 Opening ASCII mode data connection for 'file list'. ftp: 33 bytes received in 0.00Seconds 16.50Kbytes/sec. 150 Opening BINARY mode data connection for '/code/images/nnECX640m2.tar'. ftp: 31150080 bytes sent in 7.79Seconds 4001.29Kbytes/sec. ftp: 49 bytes received in 0.00Seconds 49.00Kbytes/sec. Back to my console access, I first verified the version of code with the "show version" command. I then changed the boot image the ACME 3820 will boot to. WARNING: you are about to reboot this SD! I rebooted the ACME and verified the new image is being used. Additional note. 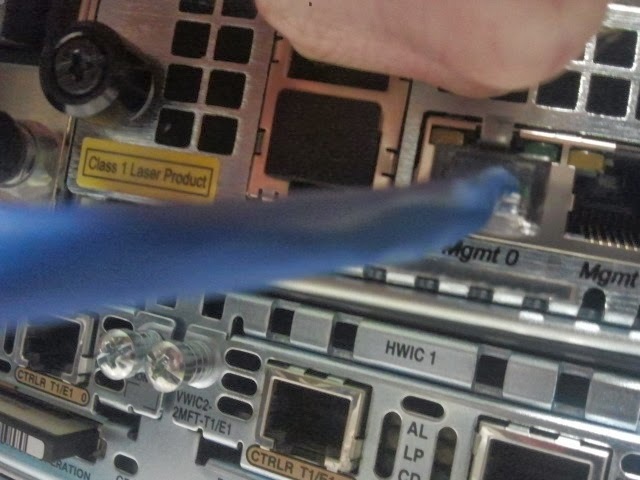 Make sure you plug your network cable in port "Mgmt 0" for network connectivity when doing this. That is where the IP address is at this point.